U.S. Presidential Elections are highly anticipated events – around the world – as their results can have an impact that reaches far outside of America’s borders. The 2016 Presidential Election, in particular, caught the attention of a global audience as the two candidates were surrounded by controversy throughout their respective campaigns. Like many others living outside of the U.S., Canadian citizens were glued to their screens, anxiously awaiting election results on the night of November 8th. In Canada, the Canadian Broadcasting Company (CBC) has been the go-to news source for over 80 years, and CBC.ca provides regional, national and international news coverage. Spencer Walsh, Executive Producer for CBC News Online, and his team are well versed in the business of breaking news and live event coverage. From unplanned stories like the 2016 Fort McMurray Wildfire to meticulously planned events like the U.S. Presidential elections, they have experienced it all.  During live news coverage for large-scale events, like an election, there are many different mediums that CBC reporters need to push updates to in real-time – including television, radio and digital. Their time is valuable given the non-stop action that needs to be broadcast in the moment, and it’s crucial that they can be as efficient with their time and resources as possible. The CBC has been using ScribbleLive Engage since 2011. The news team uses Engage to deliver up-to-the-minute breaking news coverage and to host interactive Q&As. 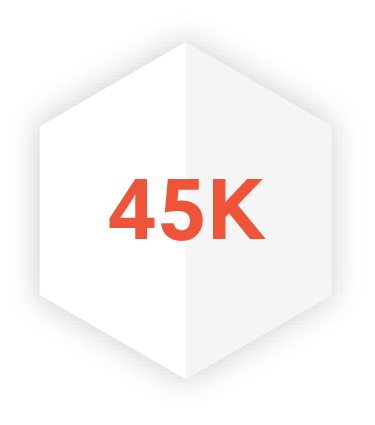 Engage has provided a seamless solution for delivering real-time information to their digital audience, while also empowering reporters to curate social content in the field. They can moderate live conversations with newsmakers, reporters and audiences in real-time – all packaged within a reader-friendly stream. “Engage is efficient and it’s easy to use from the field. We like it because it’s easy to spin up a live blog very quickly” Walsh said. Walsh points out that it is important for the CBC to be able to adapt to the evolving online consumption habits of its audience. The news team needs to deliver content to wherever their audience is; if a Canadian turns to Google or Facebook to get the latest news, CBC wants to meet them there with fresh, accurate content. 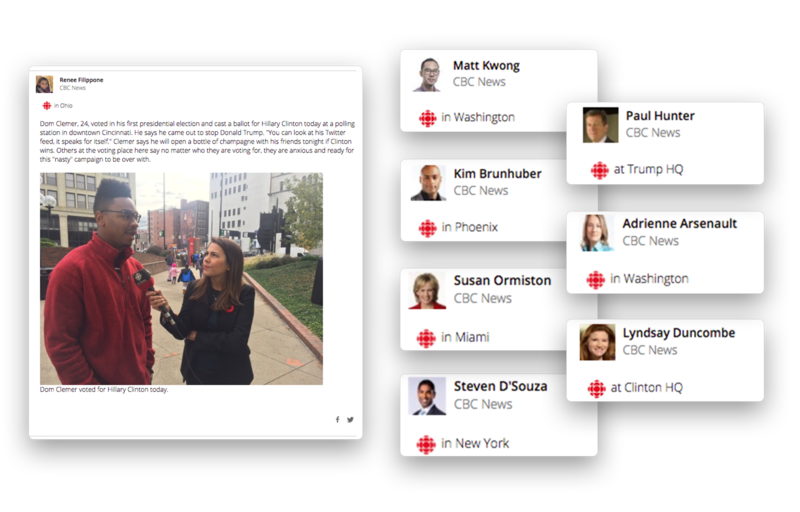 The Election microsite made it possible for CBC’s 13 reporters spread across the country to tell one story in one place, and threaded together all of their digital coverage for a Canadian Audience. 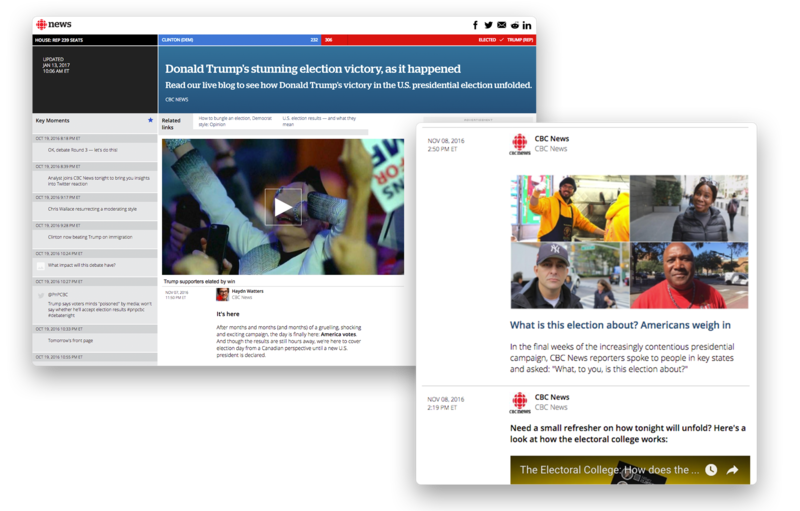 CBC leveraged Engage’s Moderation Hub during their election coverage. The Moderation Hub enables clients to vet content and organize it before it gets published. Walsh explained that when CBC reporters are filing stories and updates fast and furiously, they like to know that their copy is proofread before it goes live. Having homebase editors on the Moderation Hub for live stories enables CBC to control the flow of information and fact-check. The process of implementing ScribbleLive for an event of this scale took a great deal of planning and training. “The team has been very responsive, and they put the tools in our hands to make the job easier” said Walsh. CBC’s digital coverage was a success. During the night of November 8th and into the early morning hours of the 9th, half of Canada’s population visited CBC’s Live Stream Coverage. The stream peaked at 12:30 a.m. (Eastern Time) the morning of November 9th with over 45,000 concurrent watchers. 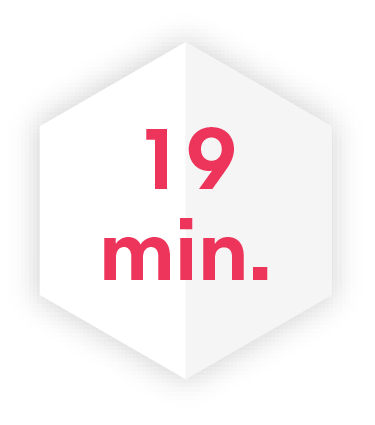 CBC had no trouble keeping their readers engaged either, viewers spent an average of 19 minutes on the microsite per visit, according to Engage analytics. As events continue to unfold after the results of the election and into the elected President’s new term, CBC plans to continue their coverage of the story with a Canadian slant. Our goal was to bring the story together in a way our audience could understand it – whether they're sitting at home on the couch with their laptop open, or in a bar watching on TV with their phone out. We wanted to be ready to tell a story by Canadians for Canadians.